Posted: Sat Feb 10, 2018 3:49 pm Post subject: Now that it is possible to trade the 2019 pick, what are the options? Posted: Sat Feb 10, 2018 4:09 pm Post subject: Re: Now that it is possible to trade the 2019 pick, what are the options? if we want to keep randle while doing 2 max in 2018, we dont have the cap space for the 2018 draft pick. Posted: Sat Feb 10, 2018 4:13 pm Post subject: Re: Now that it is possible to trade the 2019 pick, what are the options? A Team like the nets needs as many picks as they can get given that they traded away all their picks. If we get rid of Deng, we open up more than enough space for the 2 max plus Randle in 2018. Posted: Sat Feb 10, 2018 4:14 pm Post subject: Re: Now that it is possible to trade the 2019 pick, what are the options? If Deng is traded like the OP is proposing, it is possible. Posted: Sat Feb 10, 2018 4:46 pm Post subject: Re: Now that it is possible to trade the 2019 pick, what are the options? i think it depends on how many you want to keep. if you want to keep the main 5 players plus bryant, caruso, zubac, then every million counts. If we do strike out on the 2 max in 2018 (for e.g. no superstars or just pg13), I don't see how moving Deng at the trade deadline is not realistic. By that time, he has essentially 1.5 seasons left. He would become a large expiring contract in about 30 games and can be traded or flipped in 2019 by the receiving team for another player. In fact he might actually be an asset in 2019 given that he is a large expiring contract which teams want. The problem with the stretch option is that he is on the books for 4 years. In an age where every single dollar counts, having 7.2 mil for a player who doesn't play for 4 years really hurts. Agree. You stretch him only IF needed for an incoming star otherwise you ride with him to get him off the books completely sooner. Lakers should not do any thing rash unless they need the extra cap space for someone really great, not just for a bench guy. This gives us a lot of options. I'm interested to see how we move with this extra asset at our disposal. I think you gotta use the pick of at least trade it for another first rounder in the next few years. I’d we sign 2 stars, we will need cheap labor to balance it out. ugh why are people so much in a hurry to give up valuable assets just to get rid of Deng?? We need to be on a 2 year plan anyway because there is nothing we can realistically do to take on the Warriors in 1-2 seasons. If the Lakers get any type of assurances that they can land top free agents then they should just go ahead and trade both this years cleveland pick and the 2019 laker first rounder to get rid of Deng. 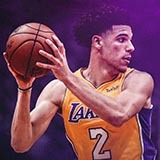 They just need to have an agreement in place before the draft, then select the player the other team wants, then announce the trade: lakers trade player selected plus 2019 pick and Deng for 2nd rounder. Wouldnt be trading 2 picks in a row since pick is now a specific player. Lakers 2019 pick is NOT tradable. If they had gotten the Cavs pick unprotected, then it would be. But the Ted Stepien rule prevents teams from being in a situation where team may be left without consecutive future picks, and the rules deem the Cavs pick as not-guaranteed to be going to the Lakers. It doesn't matter that there's no way in hell that the Cavs' pick will fall top-three this year -- the tradeability of picks doesn't change depending on a team's mid-season record. But once the 2018 pick is actually selected its no longer a pick, its a player's rights and the 2019 would now be tradable immediately wouldn't it. But trades deadline had passed and wont be open again till draft night not lottery day although we will know the outcome. Good logical point, the Lakers only need to stretch Deng is they have an actual need for the cap space, otherwise, keeping him another year REDUCES the 5-year payout. But, I would rather trade him with the Cavs-2018 pick than the Lakers-2019 pick.. Which would have been the case whether or not the Lakers traded for another team's 2018 pick. Teams can make trades when their season ends. Soooo why can't we just play him next season? Assuming we lose Julius, would he really be that terrible as a backup 4 playing 15mpg? If anything, it would improve his trade stock compared to what it is now and everyone thinking he's unable to play or dead.